After starting summer league 3-0, the Denver Nuggets followed it up by losing their final two games in Las Vegas, including their consolation game to the Minnesota Timberwolves 83-71. 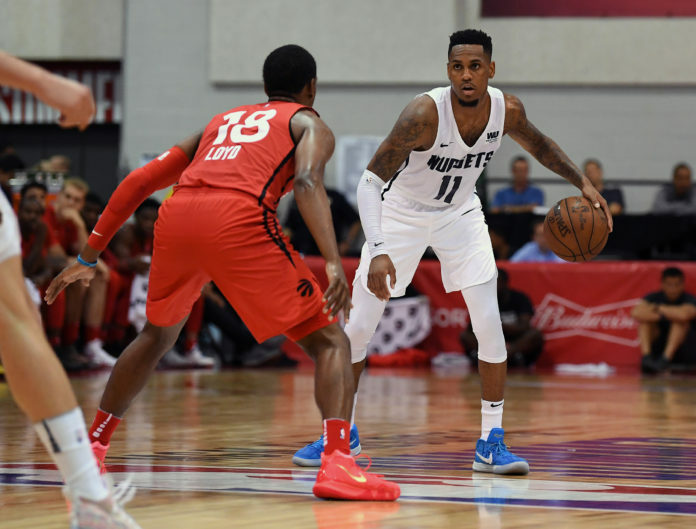 Point guard Monte Morris sat out the Nuggets final game and finished summer league averaging 17.5 points and 6.3 assists per game. Morris wasn’t the only regular who didn’t play as Malik Beasley, Tyler Lydon, and Thomas Welsh also sat out the Nuggets finale in Las Vegas. Other notable Nuggets who didn’t see the court were Vlatko Cancar and DaVaughn Akoon-Purcell, who both had big roles in the first four games for Denver. With four starters out, the Nuggets rolled out a starting lineup that featured Victor Sanders, Scott Machado, Stan Okoye, Kenrich Williams, and Kennedy Meeks. The Nuggets fresh lineup started slow allowing the Timberwolves to score the first three points until a Sanders layup started the scoring for the Nuggets. William’s followed Sanders layup with a basket of his own and hit a fadeaway jump shot to tie the game at 10 with five minutes remaining in the quarter. 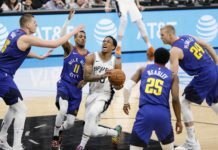 After struggling to score the ball in the Nuggets first four games, Williams’ shot finally started to fall and gave the Nuggets a much needed scoring boost from the starting lineup. After an 8-0 run by the Timberwolves, former Wyoming standout Hayden Dalton converted a four point play to close the Nuggets deficit to four with three minutes remaining in the first. Dalton’s four point play started a trend for the Nuggets as former University of Northern Colorado star Andre Spight had one of his own with 40 seconds remaining in the quarter. Spight scored six points in the opening frame and helped cut the Nuggets deficit to 26-20 going into the second. To start quarter number two, the Timberwolves remained hot stretching their lead to as big as 11 midway through the second. It wasn’t till the Nuggets subbed Williams back in that they started to make a dent in the Timberwolves lead. Williams poured in nine second quarter points finishing the first half with 13 points on 6-8 from the field, 1-1 from beyond the arc. A Sanders layup with 7.9 remaining in the half cut the Timberwolves lead to 45-43, which is the score they’d take into the halftime locker room. In another sloppy start to a quarter, the Nuggets tied the game at 47 before a Timberwolves 5-0 run to stretch their lead back up to five. Sanders and Williams continued to carry the Nuggets offense, as did Keita Bates-Diop and Jared Terrell for the Timberwolves. Bates-Diop and Terrell combined to score 23 points in the first three quarters and did an outstanding job countering every Nuggets run. Scoring just 12 points in the third, the Nuggets trailed the Timberwolves 64-55 heading into the final 10 minutes of summer league. 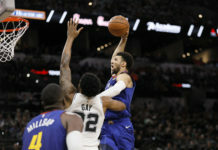 The fourth quarter didn’t start out great for the Nuggets as they began the quarter with six players on the court, resulting in a technical free-throw for the Timberwolves. The free-throw helped stretch the Timberwolves lead to double figures, which is a tally they wouldn’t relinquish defeating the Nuggets 83-71. Stat leaders for the Nuggets were Kenrich Williams, who finished with 17 points on 8-14 from the field, and Kennedy Meeks who finished with nine points on 3-8 shooting. 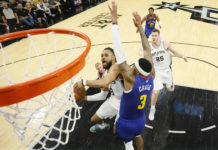 The Timberwolves were led by Bates-Diop, who finished with 14 points, and Amile Jefferson, who chipped in five points, nine rebounds, and two blocks.